This landmark exercise in faux-documentary filmmaking comes to Blu-ray in a new transfer, preserved by the Pacific Film Archive. David Holzman's Diary: Special Edition (1967), Jim McBride's landmark faux-documentary, comes to Blu-ray and DVD. 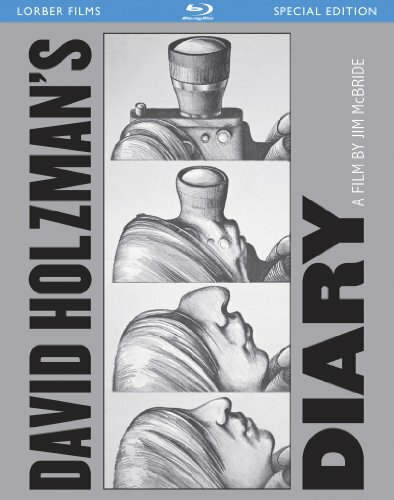 New York, NY - July 21, 2011 - Kino Lorber is proud to announce the Blu-ray and DVD release of David Holzman's Diary: Special Edition (1967), one of the most influential films of the 1960s, and an ingenious puzzle movie (Dave Kehr, Chicago Reader) that charts the self-destruction of a media-saturated youth. This landmark exercise in faux-documentary filmmaking comes to Blu-ray in a new transfer, preserved by the Pacific Film Archive. The Blu-ray is priced at $34.95, and the film is also available on DVD, priced at $29.95. Both are available for prebook on July 19, 2011, with a street date of August 16. The disc includes three bonus films from director Jim Bride: My Girlfriend's Wedding (1969), Pictures from Life's Other Side (1971) and My Son's Wedding to My Sister-in-law (2008). This totally delightful satire (NY Times) of a narcissistic artist is also a well-crafted fiction about the deceptions of cinematic illusionism. Early on, Holzman quotes Jean-Luc Godard's famous dictum that "the cinema is truth 24 frames-per-second." As director Jim McBride teaches and Holzman soon learns, it lies just as often.